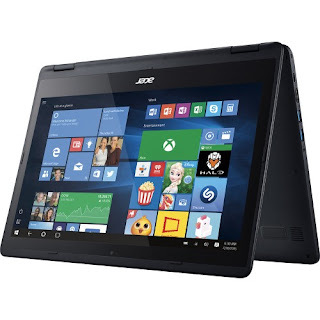 The Acer Aspire R14 R5-471T-71W2 is a laptop PC boasts with the processing muscle of 6th Gen Intel Core i7-6500U ultra low voltage dual core processor that features 4 MB Intel Smart Cache and runs at the base clock speed of 2.5 GHz with Turbo Boost technology that speed up processing up to 3.1 GHz. It has an integrated graphics controller dubbed Intel HD Graphics 520 which is capable of rendering high definition movies and playing less demanding games with ease. 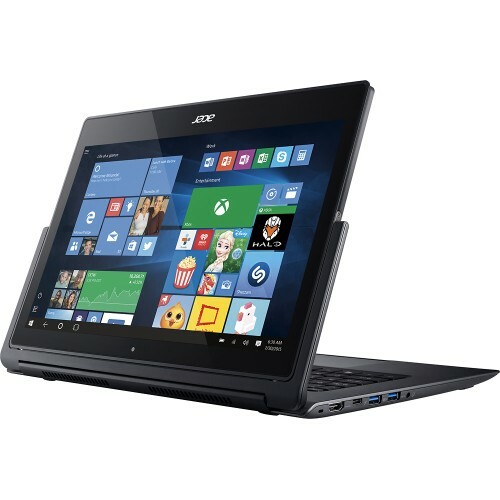 The Acer Aspire R14 R5-471T-71W2 comes packed with 8 GB system memory for basic multitasking; 512 GB solid state drive (SSD) which is much faster than conventional magnetic hard disk drive; 360° convertible design; built - in HD webcam with Acer Purified Voice; Dolby Digital audio; built-in media reader for simple photo transfer and supports SD memory card formats; and 4-cell lithium-ion battery that will give you several hours of working away from the main source of electricity. It comes in Black finish for stylish look. 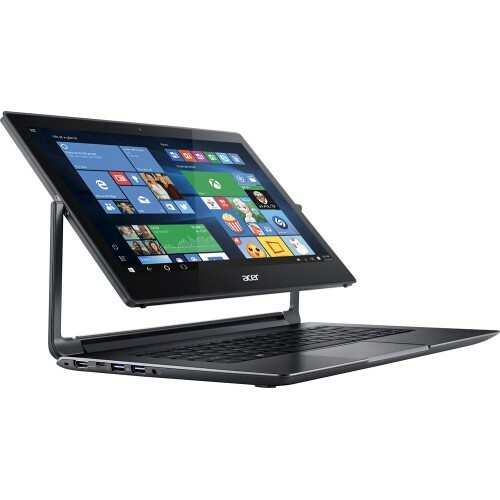 This Acer Aspire R14 R5-471T-71W2 is equipped with display feature such as 14" 10-point multitouch screen with Zero Air Gap technology and 1920 x 1080 resolution. The resolution in this laptop PC is quite high therefore the display is expected to be sharp and clear compared to laptops with lower resolution. In terms of connectivity, the Acer Aspire R14 R5-471T-71W2 comes with 2 USB 3.0 ports and 1 USB 3.1 Type C port maximize the latest high-speed devices; Next-generation wireless connectivity; Gigabit Ethernet LAN port; Bluetooth interface and HDMI output port. The Acer Aspire R14 R5-471T-71W2 is powered by Microsoft Windows 10 operating system which brings back the Start Menu from Windows 7 and introduces new features, like the Edge Web browser. This laptop has the following dimensions: 0.73 inch x 13.54 inches x 9.65 inches and weighs about 4.19 pounds. You can get this laptop PC at the price of $929.99. 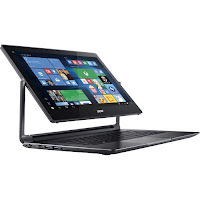 Other laptops in this price range include Asus Q551LN-BBI7T09 and Dell I73486429SLV. It doesn't have a CD player. Is the battery meant to be replaced with a fresh one to extend run time?